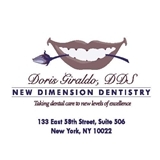 New Dimension Dentistry (New York) - Book Appointment Online! She was very pleasant. Explained what work needs to be done. What she is going to work on first.